Peaceful Playgrounds cares about student safety. If fact, our Founder Dr. Melinda Bossenmeyer spends a great deal of time in that arena. She serves as an expert witness in lawsuits involving student injuries at recess and physical education. She is also an expert witness in the area of school supervision. Did you know that Peaceful Playgrounds offers a Playground Supervision Online Training Course and Certification? In addition to providing professional development hours participants receive a completion certificate and open badge for their professional educational portfolios. In her work as an expert witness and speaking around the nation on the issue of playground supervisor training, she found that many supervisors have not received any training at all. For that reason she wrote a featured article on the topic. 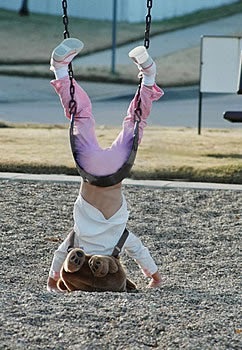 Playground Liability: Accident or Injury explains the difference between an "accident" or an "injury" and how each effects a school's liability. 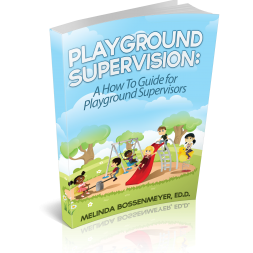 Playground Supervision: A "How To" Guide for Playground Supervisors. If you want to know more about training your playground supervisors take our free Playground Supervisor sample course. You will also find related resources embedded in the links throughout this article.